Prebaked with Ramon Rivas (Comedy Central, HBO, Netflix, Cooking on High) blends cannabis and comedy seamlessly as Rivas uses his weed sommelier skills to pair a strain that embodies the characteristics of his guest. Each episode gives listeners the opportunity to learn more about the evolving cannabis culture while listening to the supple sounds of Ramon sounding like he just woke up from a nap. Prebaked is a production of Native Creative Podcasts. Ramon’s first guest David Gborie is an alum of CONAN, has a Half Hour on Comedy Central, is part of the monster podcast ALL FANTASY EVERYTHING and recently became the official voice of the entire Comedy Central network! Not bad for a grimey guy from Aurora, Colorado. Follow David on Twitter @thegissilent or on Instagram @coolguyjokes87. 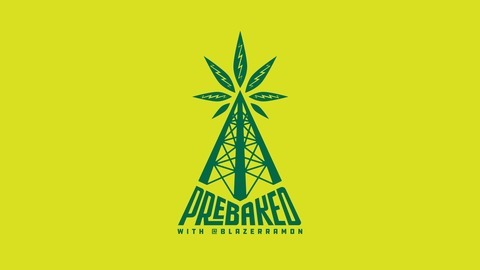 Prebaked is a production of Native Creative Podcasts. Please subscribe, rate & review the podcast.